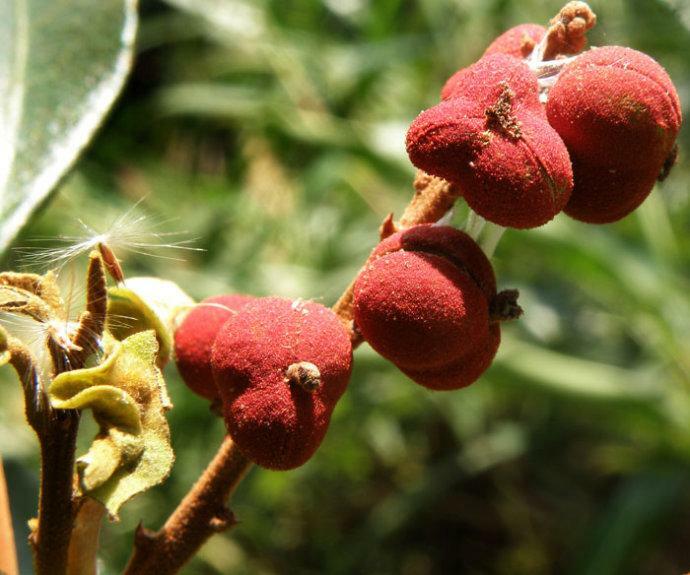 The drug is the dried hair on the fruit of Mallotus philippensis (Lam.) Muell. Arg. (family Euphorbiaceae), growing in or along forests, and distributed in Southwestern China and Anhui, Jiangsu, Zhejiang, Fujian, Taiwan, Jiangxi, Hubei, Hunan, Guangdong, Guangxi, Hainan. The root of this plant is also a drug, named Chukangchai. It is used as anthelmintics and deobstruent; for the treatment of cestodiasis, sores, traumatic injury and constipation. Decoct 3~6 g. Proper dosage is for external application, applying on the affected area or decocted for washing.